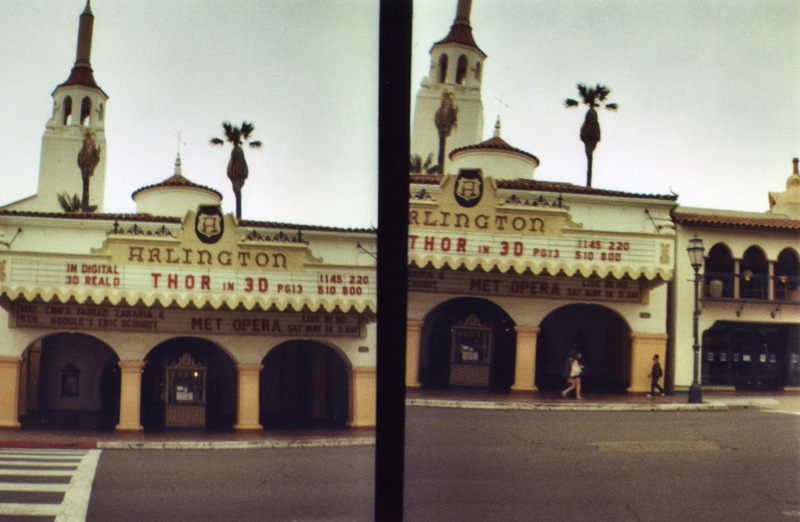 Theatres 5 and 6 take us up Route 101 to Santa Barbara. Part college town, part mission town, part arts community, Santa Barbara is a lovely place bordering the Pacific Ocean to the west and the Santa Ynez Mountains to the east. As I was in town for something completely unrelated, I made sure to look up the theatres of note in the downtown area and was excited to see that the Arlington and the Granada were within just a couple blocks of each other. Located at 1317 State Street, the 1931 Misson-style Arlington Theatre hosts both films and live performances and is the home of the annual Santa Barbara Film Festival. The theatre seats more than 2,000 between its floor and balcony areas. The Granada Theatre has the distinction of being not only the oldest theatre in Santa Barbara but it is also the tallest building in town. Located at 1216 State Street, the 8-story building opened in April of 1924 and was restored in 2008. 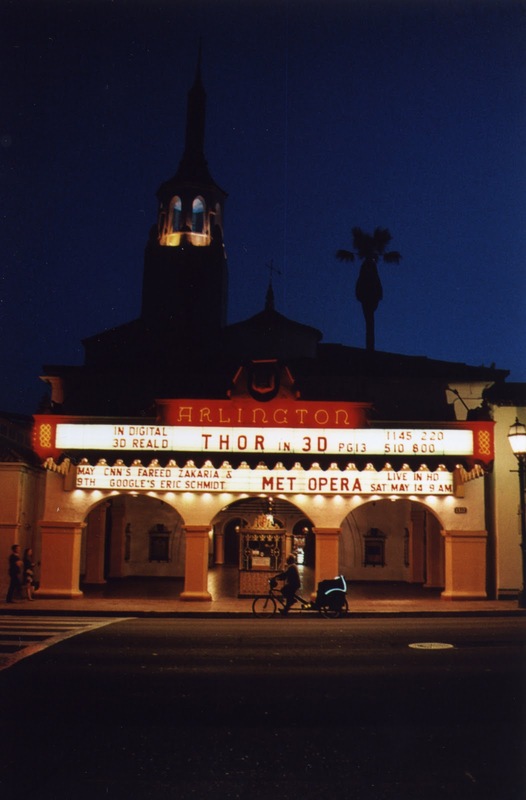 Like the Arlington, the Granada mixes live performances and film and is home to several of Santa Barbara's performing arts companies. 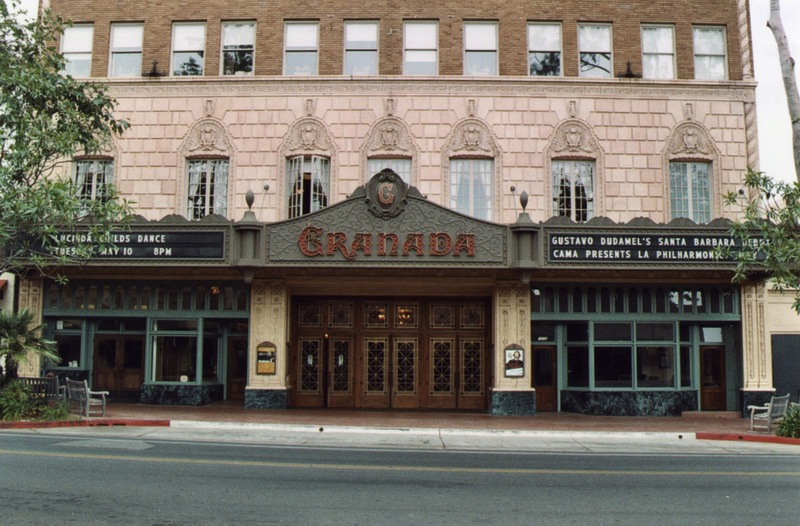 The Granada's facade has changed over the years, though it currently reflects the look of the era in which it was built. Thanks, Joe! I appreciate it.